Northerntruthseeker: The San Bernardino California Shooting Is A Fraud: New Updated Material Further Exposes The Hoax.. The San Bernardino California Shooting Is A Fraud: New Updated Material Further Exposes The Hoax.. The histories of the supposed shooters may be fabricated. This is because when the reporters ransacked the house, they "found" this ID on the left here, notice how "Revenue" is spelled. There is no reason to have a fake ID like this, this is supposed to be a state work ID and if she did not actually have that job, there would be no purpose in having any ID for it at all. So this ID was forged, probably by the media and/or whoever staged this false flag. The couple was hunted down as they were out and about together, murdered, and stuffed in the back of the SUV behind the rear seat. Subsequently (and there is no other way this could happen) the SUV, which was completely modern and full drive by wire, was then remote control driven "Hastings style" and the police shot it full of holes until a bullet cut a wire somewhere and it stopped. The police reported the couple was in full combat gear, but in reality the wife (who was the only one shown after the police shot up the SUV) was in shorts, high heels, and a short bare tummy blouse. So the story about combat gear is a lie, and because the couple were already handcuffed, the story about "brandishing weapons and shooting at police" was also a lie, which is subsequently proven by the fact that the windows were rolled up when shot out. So now we have a fake ID, an impossible shooting scene (they did not shoot from the vehicle as police claimed even if they were not found dead behind the back seat already in handcuffs) and because they were behind the back seat in handcuffs, we also are FORCED TO have a story about a remote controlled vehicle being shown on the news. There is absolutely no other way this can happen. And the fact reporters and neighbors were allowed into the home so soon afterward, before any real investigation could be completed, is the icing on the cake, if this was real this would have never happened, NEVER, IN ANYONE'S LIFE. Additionally, we have two SUV shooting scenes clearly shown on camera. If there was only one shooting, and one nut case Islamic couple, there would be ONE SUV shot up in ONE location, not two. There is a lot on this page now, for everything referenced above, complete with photos, scroll down the page. This is important stuff - this HAS TO be spread to bust this scam or the NWO will probably get America to support World War 3, the ALL THE WRITING WE NEED TO BLOW THIS SCAM WIDE OPEN IS ON THE WALL NOW AND YOUR FUTURE DEPENDS ON IT, ARCHIVE AND POST! DEATH AND ALREADY IN HANDCUFFS. 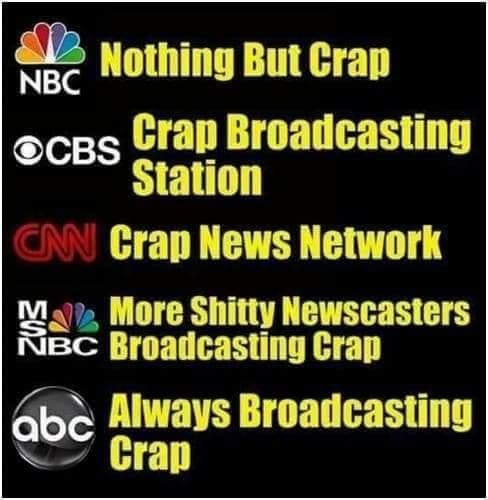 Maybe that is why Alt media is under attack - the scammers of this last false flag are busted multiple ways! Lawyer's testimony (for whatever reason they have one) confirms - those working the case closely and not affiliated with the MSM have confirmed that both were shot dead and in handcuffs long before the police shot hundreds of rounds into the SUV, and the SUV was probably therefore being driven via remote control for the TV cameras, which that particular SUV allows completely because it is full drive by wire. A little "Hastings action" here. BLOCKBUSTER: CONFIRMED: let me repeat this: The couple blamed were not even patsies and were not the shooters. They were murdered in cold blood beforehand (most likely because as I initially stated, both were state employees and the husband up until recently worked in financial auditing for the state, and was recently assigned to be a health inspector.) Most likely this couple was chosen to be eliminated in this ruse (IF THEY ARE EVEN DEAD) because as an auditor most likely Sayed discovered something "inconvenient." The couple's home has been ruined for all forensic work. Over 100 reporters have been allowed in and no serious police investigation was ever done because real investigations take weeks, not hours. This is because the patsies are innocent, and the police/FBI and whoever else set up this false flag do not want a real investigation. WE NEED TO FIND OUT WHO THE LANDLORD IS AND IF THE LANDLORD IS A JEW. THE LANDLORD IS NOW OBVIOUSLY COMPLICIT, THERE IS NO CONCEIVABLE WAY THE LANDLORD WOULD ALLOW THIS TO HAPPEN WHEN THE RENT WAS PAID INTO THE FUTURE UNLESS THE LANDLORD SPECIFICALLY WANTED THE INVESTIGATION TO BE DESTROYED. THIS PROVES THE LANDLORD IS A SUSPECT IN THE REAL CRIME. ADDITIONALLY, THERE IS NO CONCEIVABLE WAY THE POLICE WOULD EVER ALLOW THIS TO HAPPEN, THEY WOULD HAVE NAILED THE PLACE IN MINUTES. THIS PROVES THE POLICE ARE COMPLICIT IN THE REAL CRIME AS WELL. Over 100 reporters have been through the house. The neighbors are looting it as well. This most likely proves the couple really was shot to death, and also DEFINITELY proves they are innocent because if they were not completely innocent the police would have had that house on absolute lockdown. After all, there were supposed to be explosives there, RIGHT? Do the police just barn door any place that could have explosives for any old cattle to walk through? HELL NO! GUILTY OF THE FALSE FLAG AND ALMOST DEFINITELY OF MURDER: The San Bernardino Police Department, Many of the reporters, and obviously this would have all been staged by the Jewish community via the FBI and Mossad for the sole purpose of making Americans hate Muslims, because the Jews are going to kick off world war 3 and want the Arab world destroyed so they can have their ERETZ ISRAEL. This will be difficult to accomplish if Americans do not hate Muslims. This shooting is NOT what they are saying it is folks, the fact the house was not on lockdown PROVES IT. The fact the bodies were already in handcuffs laying behind the back seat does not look very good either! An alias was used to frame Tashfeen, there is no evidence whatsoever she actually set up the facebook page and "pledged to ISIS(tm) yet CNN is reporting it as real when they ought to know better. The landlord's name is "Doyle Miller" and he looks about as Jewish as anybody I've ever seen. Not that I have anything against Jews, but ... I'm white and I wouldn't fault Native Americans for being suspicious of treaties with my people.